Changing your body can change your life, and this is a belief that Gold’s Gym has advocated. From the time when Joe Gold established the original Gold’s Gym location in Venice, California, back in 1965, it has been an authority on fitness. Gold’s Gym was recognized as a place for serious fitness and quickly became known as a mecca of bodybuilding. The cult-favorite 1977 movie Pumping Iron, which starred Arnold Schwarzenegger and Lou Ferrigno, brought international attention to Gold’s Gym. From that first gym in California, Gold’s Gym became the world’s largest co-ed gym chain, with more than six hundred facilities across the United States and in thirty countries. Here in Cebu, you can go to the Gold’s Gym club at J Centre Mall in Mandaue City, which had its grand opening in April 2012. Franchise owner Justin S. Uy mentioned in his speech at the opening that health is wealth, and Gold’s Gym is here to help people protect their health so they can enjoy longer and enriched lives. Mr. Uy’s brother initially proposed that they should start a gym because he thought it would be a low-cost investment. However, Mr. Uy insisted on a franchise of Gold’s Gym since he wanted to offer the best to Cebuanos. In the decades since it began, Gold’s Gym expanded its fitness profile to offer the latest equipment and services (including group exercise, personal training and cardiovascular equipment) while maintaining its core tradition of weight lifting. With almost three million members around the world, Gold’s Gym changes lives by helping people achieve their individual potential. As the largest co-ed gym chain in the world, Gold’s Gym became known for its passion, unique heritage, and experience as an authority on fitness. Its mission is to inspire its members with unrivaled energy and to provide the finest equipment and fitness knowledge available, so that its members achieve their potential. 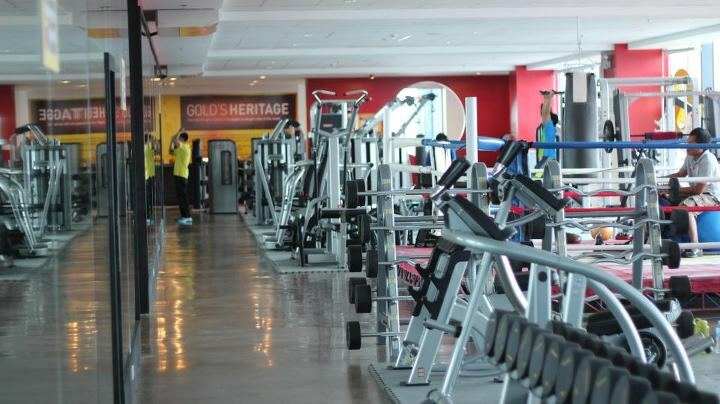 The first Gold’s Gym in the Philippines opened around 2002, and the branch in J Centre Mall is the first one outside Manila. Since the soft opening in February 2012, Gold’s Gym gathered nearly two thousand members in Cebu, most of them being working people who visit the gym after work and before going home. Before the actual opening of Gold’s Gym in Cebu, a pre-selling promotion for a substantial discount on the regular membership fee was conducted, with a booth at the ground floor of the mall. Gold’s Gym Philippines has a corporate wellness program, a partnership with businesses across the country to answer the call for a comprehensive yet cost-effective program for employee wellness. 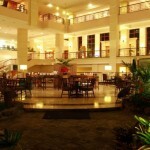 Its clients who have made use of this program include companies like Cebu Pacific, PLDT, and Ayala Corporation. The program from Gold’s Gym is designed by top fitness professionals and can be customized to meet the needs of a company and its employees, thus maximizing health benefits and cost savings. At Gold’s Gym Cebu, you’ll find not only cardio machines and strength machines but also group exercise classes for Body Combat, cardio dance, Zumba, Precision cycling, and the like. The gym also offers muay thai, kinesiology taping and soon, sports massage. One great feature of the Gold’s Gym membership is that it entitles a member to work out in any of the Gold’s Gym outlets in the world. Your Gold’s Gym membership is like a passport that you can show when you’re at another branch elsewhere in the world. 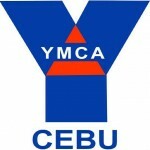 Incidentally, Gold’s Gym partnered with the Province of Cebu to present the biggest Zumba event in Cebu, Zumba Fest 2, last August 12, 2012 from 5 p.m. to 7 p.m. at the Cebu International Convention Center (CICC) parking area. Zumba is a form of cardio workout that combines Latin, hip-hop, and modern dance. The event at CICC had Gold’s Gym certified instructors from Cebu and Manila. Previously, Gold’s Gym held its first Zumba Fest during the grand opening last April 21, 2012, at the J Centre Mall atrium. Special awards were given at the event, like Zumba King & Queen. Monday to Friday 6:00 a.m. – 12:00 a.m.
Saturday 6:00 a.m. – 9:00 p.m.
For any inquiries about membership, Individual or Corporate, kindly please route them all to [email protected] and I would be glad to assist you with all your inquiries. Hi. I would like to inquire about your membership fee. Thank you. If you call Gold’s Gym’s landline number mentioned in the write-up, they can tell you directly about the rates for members and nonmembers who want to participate in pole dancing. Does Gold’s Gym accepts per session payment? I wanted to join the Pole Dancing maybe once a week.